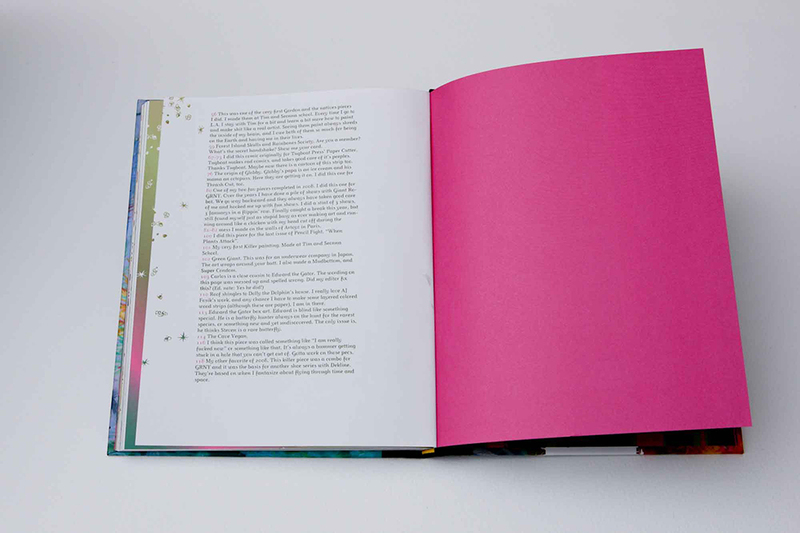 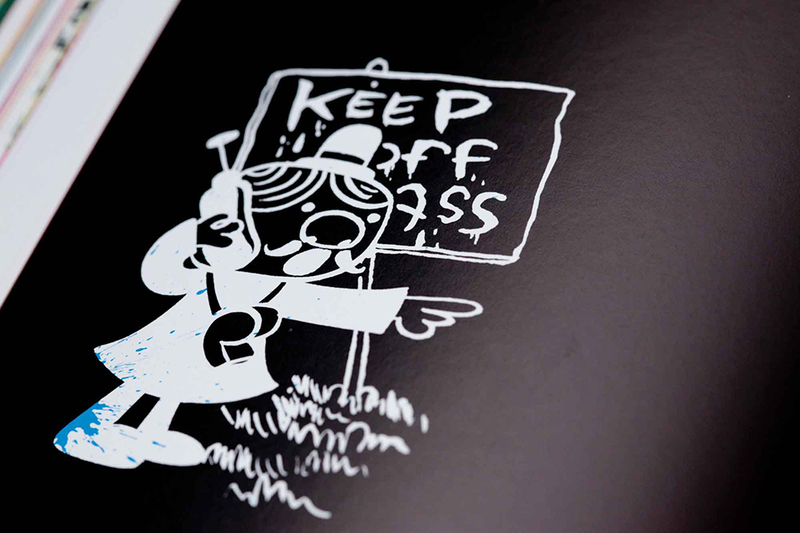 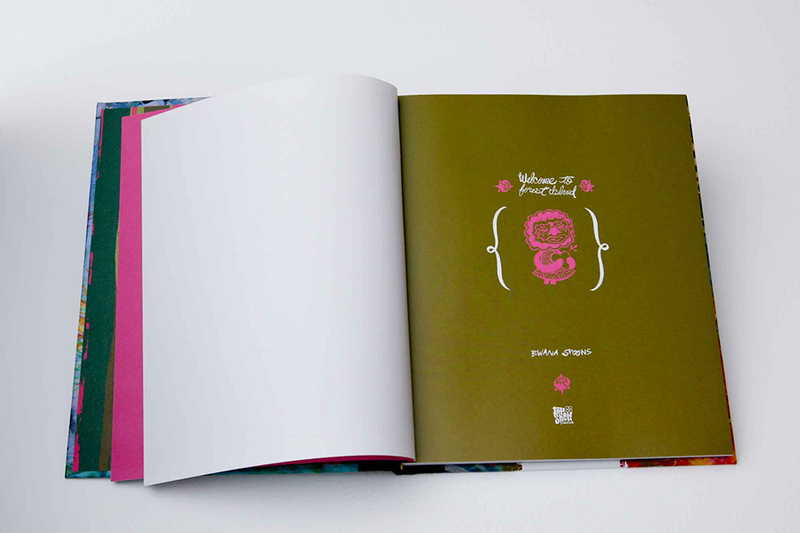 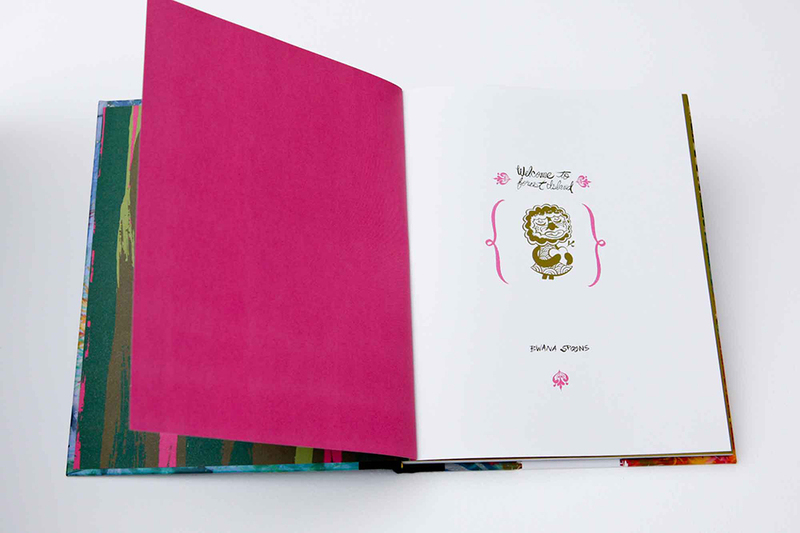 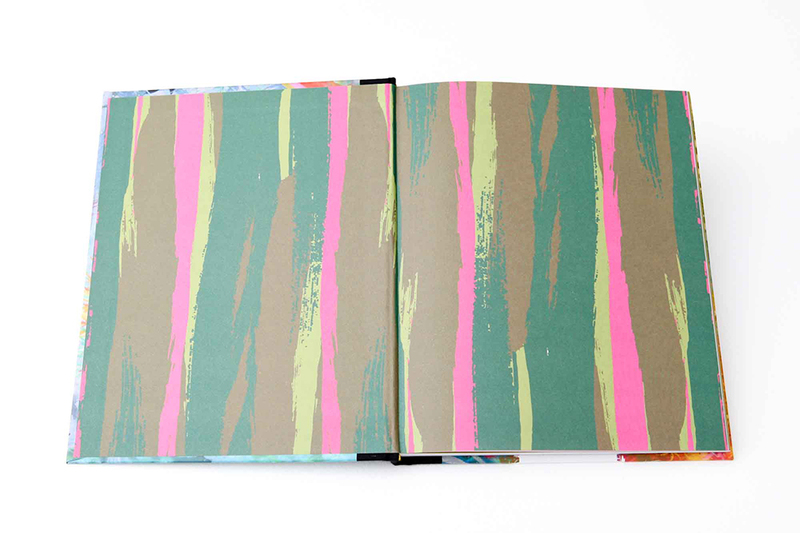 Editorial direction and book design for Portland artist Bwana Spoons' first monograph. 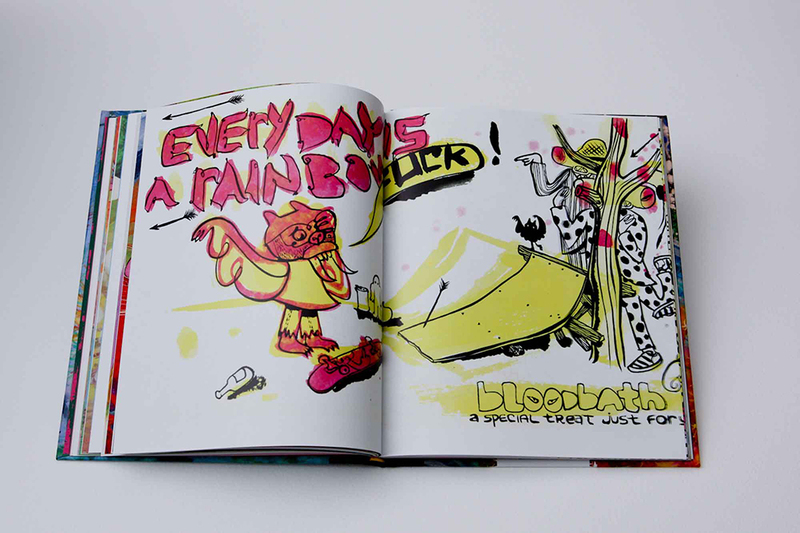 I edited, art directed, and designed artist Bwana Spoons’ first monograph- a 144 page full-color casebound, cloth-spined book published by Top Shelf. 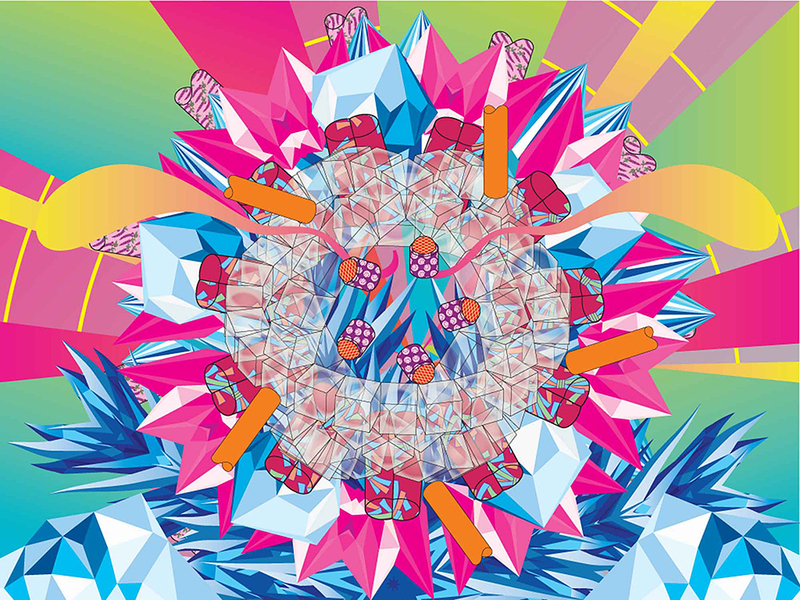 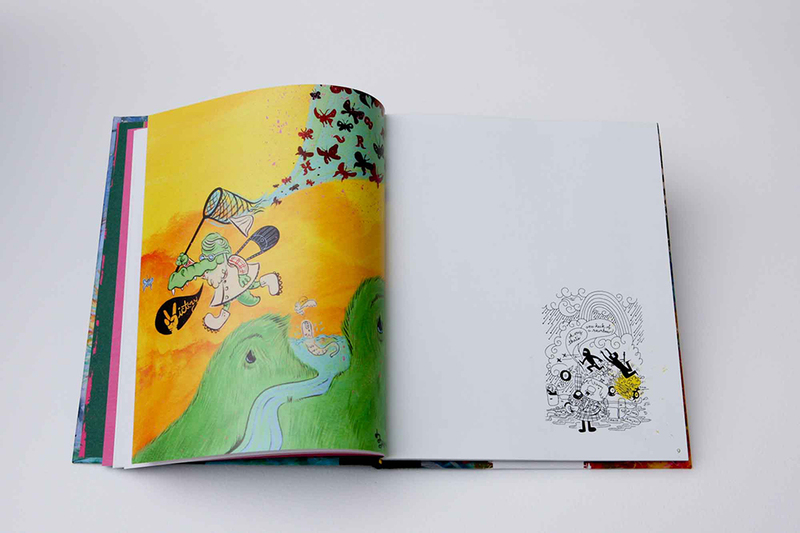 All 144 full-color pages — including paintings, maps, sketches, comics, and more — are dedicated to Forest Island: the wild, hyperchromatic paradise Spoons has been constructing with his art for several years. 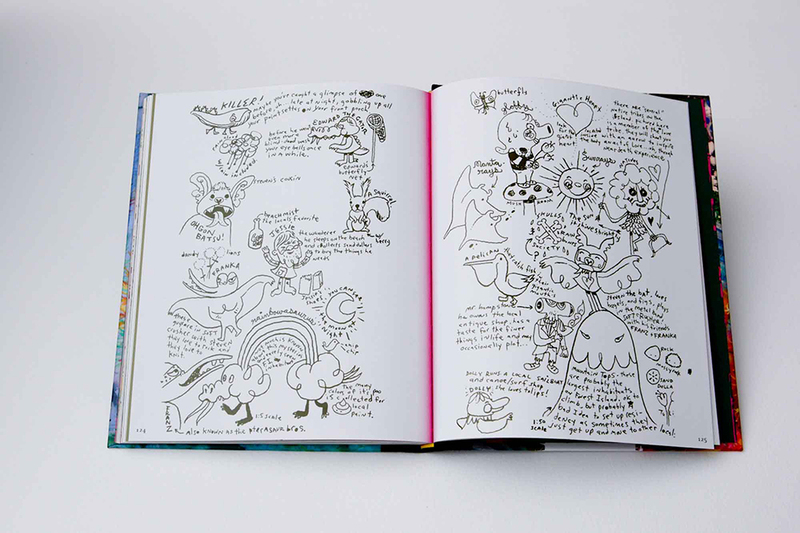 The denizens of this mind-bending island include sweet whale-gators, boozy super-cicadas, arrow-slinging, basket-weaving bearded love tribes, an ex-hobo mushroom farmer, and one brutally intense bat who plays drums in a proto-metal band and would do just about anything to make a bagel relinquish its jelly filling! 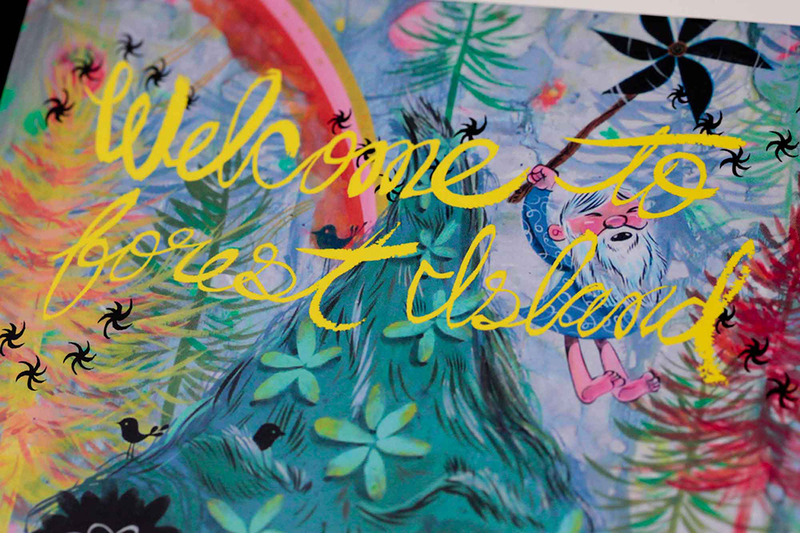 Welcome to Forest Island was designed with the inestimable Jasmine Lai. 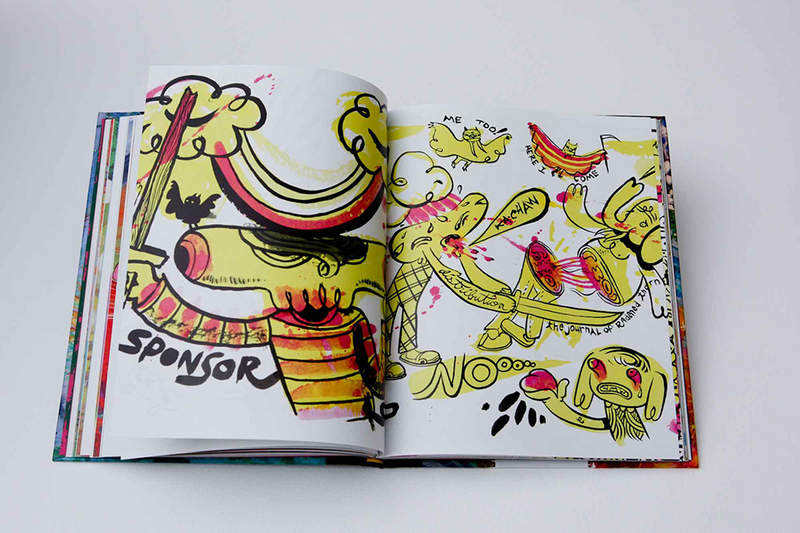 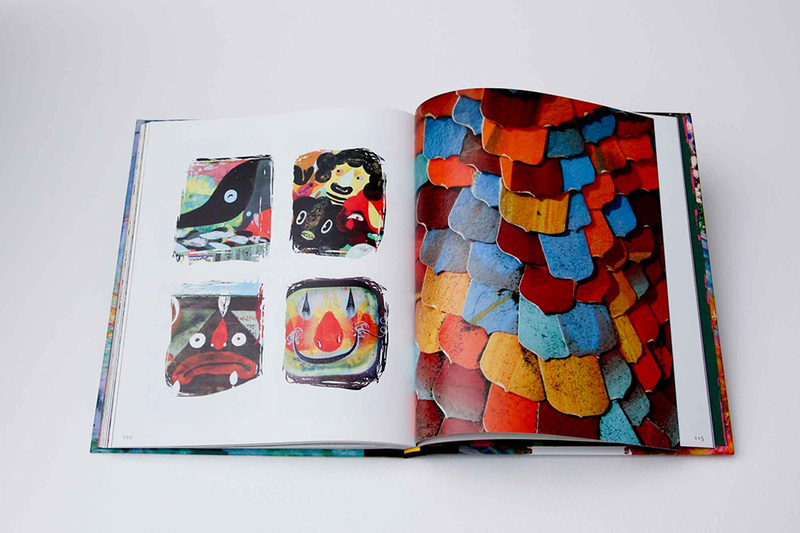 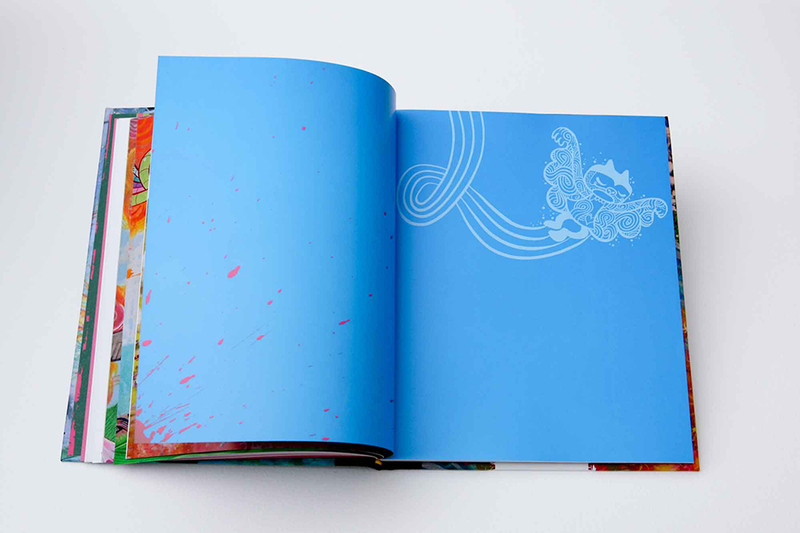 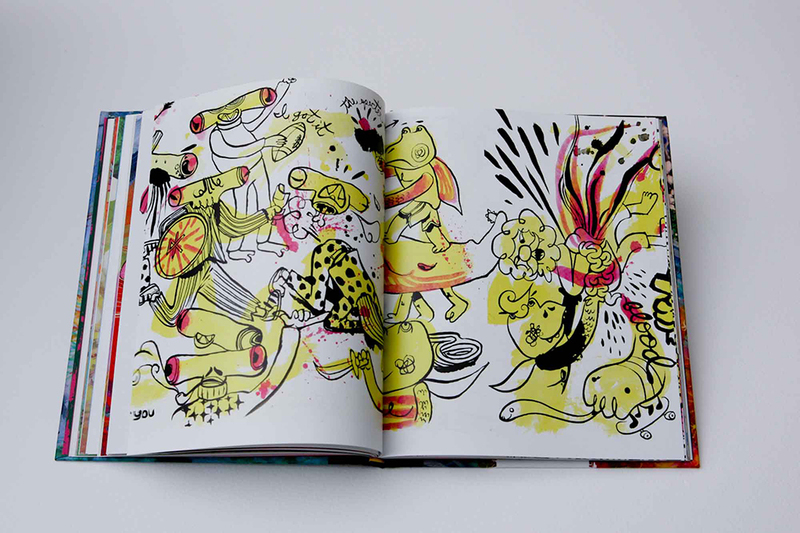 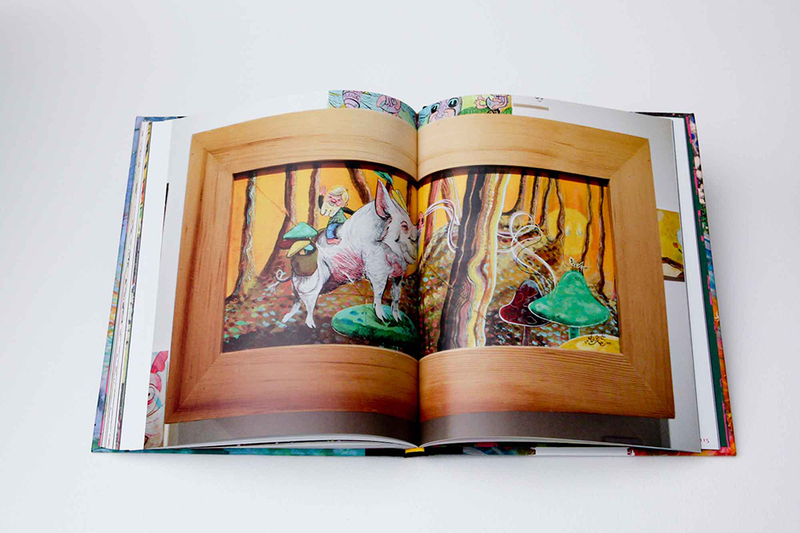 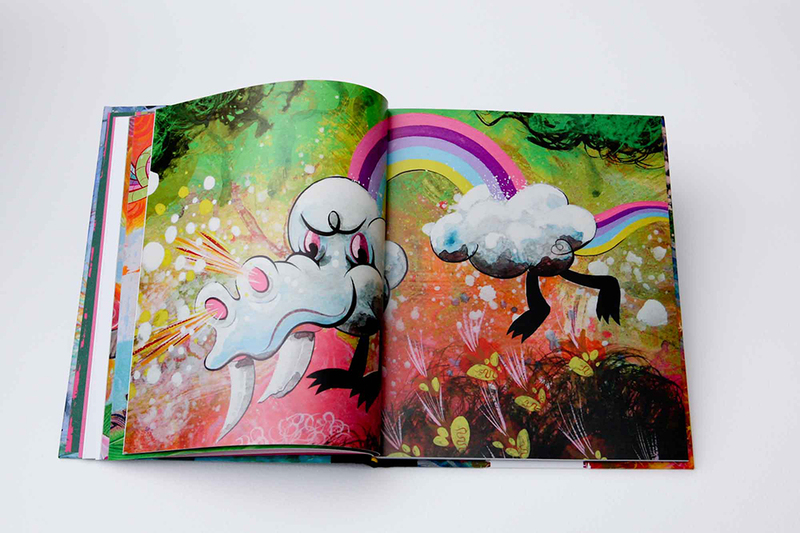 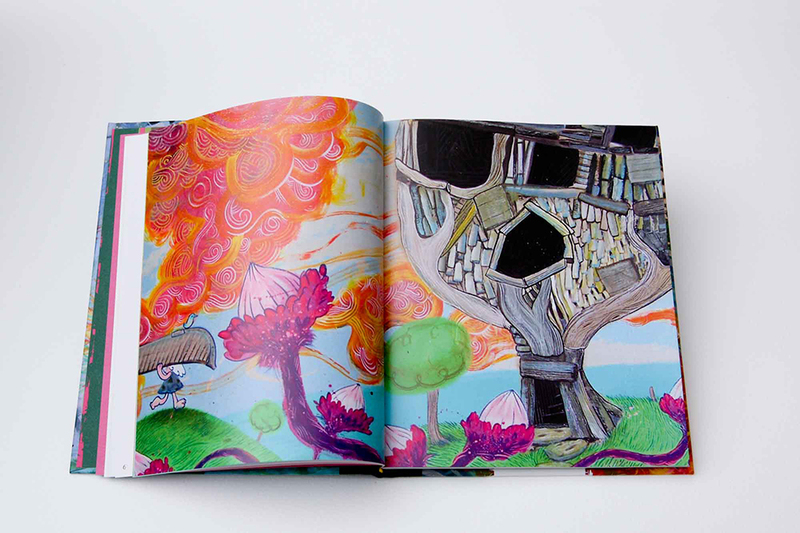 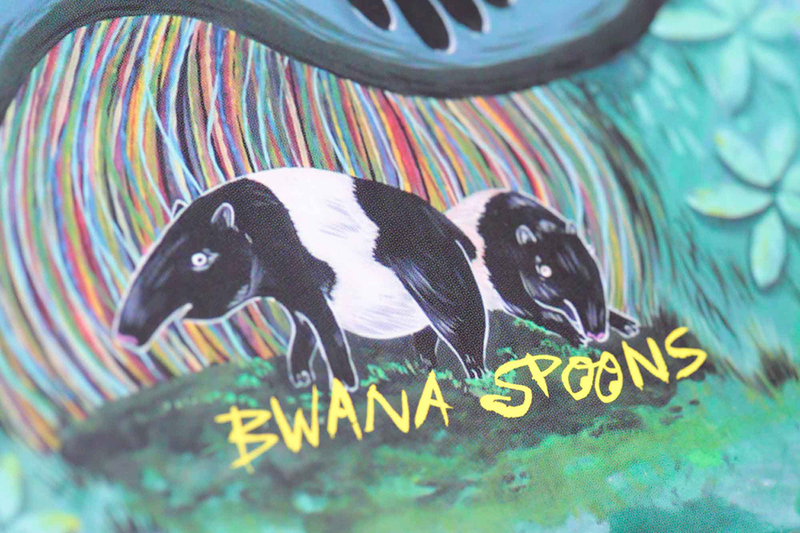 It features an introduction by artist Tim Biskup and hundreds of illustrations, paintings and drawings by Bwana Spoons.